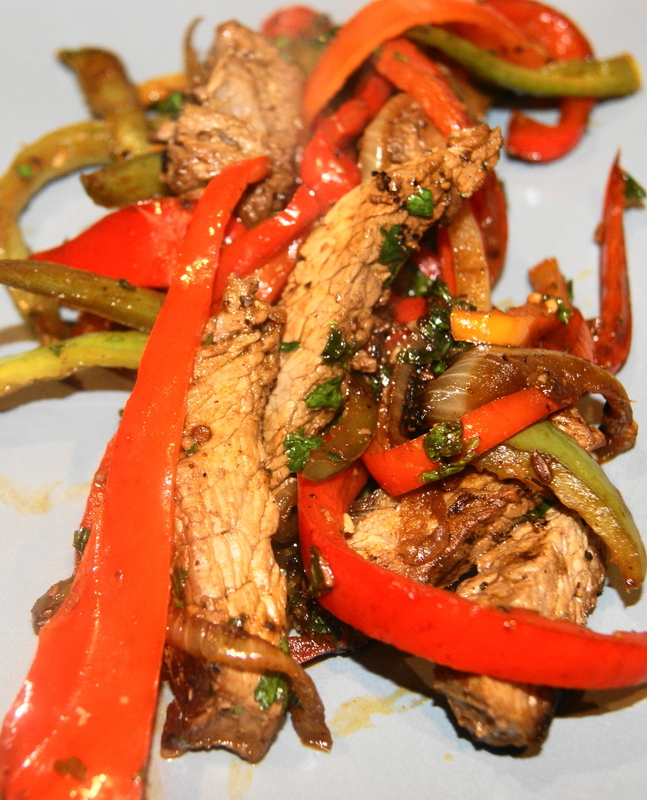 When you have a lot of peppers and pick up a nice big piece of beef what do you make? Pepper steak. I made this for a holiday party and watched is disappear. Heat olive oil in a large skillet, add onion, peppers and garlic. Cook until soft then remove to serving bowl. Add chopped parsley. Place steak in hot pan and cook on one side till browned. Turn and brown on the other side. Remove to cutting board and let rest.